Those who are fond of touring keep on searching some destinations and routes that can offer them a different travelling experience. The journey among lush greeneries, plains, and bridges that can offer a view of waterfalls are some of the areas one can enjoy while being on a train with Indian railway. Here the question arises why the journey with Indian railway can only offer such a beautiful experience? Well, the answer is very simple. It passes through all such areas across the nation and hence one can have such a beautiful experience with railway only. This beautiful tourist spot is situated in the state of Andhra Pradesh. The Cumbum is the nearest railway station to Srisailam which is around 60 kilometers away from Srisailam. Due to a major pilgrimage center for Hindus, it is always flooded with pilgrims. However, there are also many tourist spots in and around the town of SriSailam which attract many visitors all the time of the year. As the weather is always pleasant here, one can visit this town in any season of the year. 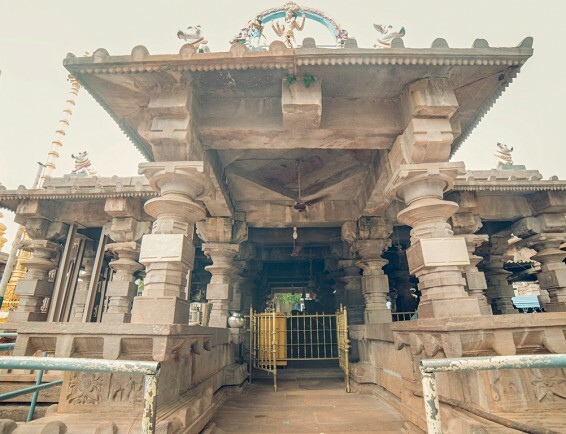 The prime attraction here includes the temple of Lord Shiva, which is considered as one of the twelve prime Shiva temples as per the ancient Hindu scriptures. The majority of the visitors come here for the blessings of Lord Shiva, and after the visit to the temple, they move to other tourist attractions. The Srisailam Dam on the river Krishna is also an important destination here. It is situated in the mid of Nalamalla Hills range, which is also an important reason why tourist love to be there. Bhramaramba Temple is also another spot here that attract pilgrims. It is a temple of Mother Parvati. Mallela Teertham waterfalls and Sirsailam Sanctuary are the places that attract nature lovers from all over the country. Shikhareshwar temple, Haatkeshwar temple, Akka Mahadevi caves, Hemareddy Mallama Temple and Sakshi Ganpati temple, are also some of the known destinations here. There are thousands of people visit this area for different reasons. The majority of the people visit it for religious reasons and as a part of their pilgrimage. Because of the promotion of this spot by locals as well as tourism department gradually has witnessed more and more visitors here. The connectivity of the location with nearby areas by rail and road is also good, and hence the visitors need not have to face any troubles reaching here. There are many trains that stop at the Cumbum station and from there one can catch a local bus, cab or auto to reach the town. There are also state transport buses as well as private buses available from the town to move to other cities. 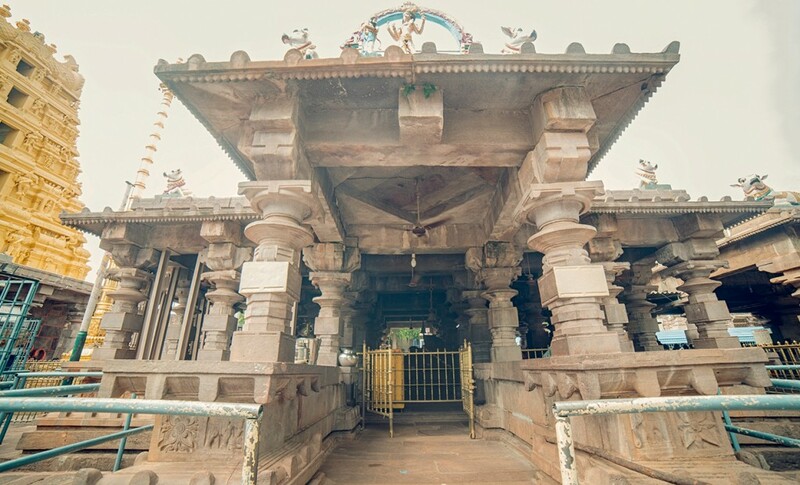 Those who believe in Lord Shiva must visit the Mallikarjun temple once in the life and get blessed. From a tourist point of view also it is a major destination that attracts people from nearby states as well as people from across the nation. For Hindus, it is a leading religious destination. Looking for Visiting Place around Srisailam? If yes, here you will get to know about the same for sure. Srisailam is been located in the state of Andhra Pradesh, India and is a major pilgrimage spot as well. Visited by tourists in large numbers from all around, the weather of the place remains pleasant all throughout the year. There are so many spots around Srisailam that could be visited by people, and the prime attractions are Patala Ganga, Mallikarjuna Swamy Temple, Srisailam Tiger Reserve, Akkamahadevi Caves, Srisailam Dam, Bhramaramba Devi Temple, Shikaresvara Temple, Lingala Gattu, Sakshi Ganpati Temple, and Chenchu Lakshmi Tribal Museum. It is one of the ideal places for those who simply want to relish and get a feel of different travelling experience. The place is all surrounded with plains, lush green beauty and surroundings, bridges and lots more that simply add up to the beauty and charm of this place. The Lord Shiva temples, ancient Hindu scriptures and others are the major reasons that pilgrims and other tourists pay a visit to this place in such preferably large numbers. Indeed, it is splendid and a beautiful place in so many aspects and the nearest railway junction is Cumbum that is at an approximate distance of 60 km from the place. So explore the spot by yourself and enjoy the magnificent beauty and magic of the place, and lovely moments with loved ones.